I first received my motorcycle license at age 16 (50 years ago when JC was still on P-plates) in Leeds U.K. I started Ride-Tek MTA about 17 years ago after spending some time working as a motorcycle instructor for Transport Driver Training in Dandenong. For a while there I raced 125GP bikes with Hartwell Motorcycle Club for several seasons which was a lot of fun. Over the course of my life riding bikes, I have owned many motorcycles (probably too many according to “the boss”)! My standout favourites have always been any bike with a Ducati badge and am currently riding Ducati Panigale. 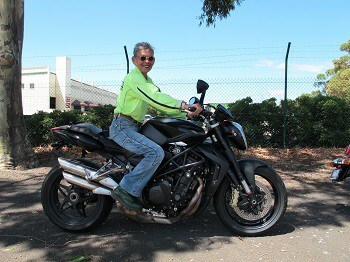 The work horse is my Suzuki GSXR 600 which capably deals with the daily commuter traffic to and from Ride-Tek. By far my favourite riding experience is whenever I ride at the track, any track, but my favourite is Mac Park in Mt. Gambier, followed closely by Broadford Raceway. Race days and ride days are always a lot of fun and the track is also a very safe environment to develop bike skills without having to worry about four-wheeled traffic. My driving passion for starting Ride-Tek MTA was to establish a training business which would become the “One-Stop-Shop” in Motorcycle Training. Over that 17 years of successful operation, I believe we have achieved that, as we now offer a very comprehensive diverse list of courses to suit every level of riding skill. That list is unmatched within the Motorcycle Training industry. Q. What Bike Do You Currently Ride? Q. What’s Your Dream Bike And Why? Q. Favourite Riding Experience Or Most Favourite Ride? Q. Favourite Course To Instruct? I have ridden motorcycles for approx. 30 years and started out of necessity. My wife and I had just had a baby and we needed a second mode of transport. We couldn’t afford the expense of purchasing and running a car so looked for a cheaper option. Something cheap to run, service and maintain. 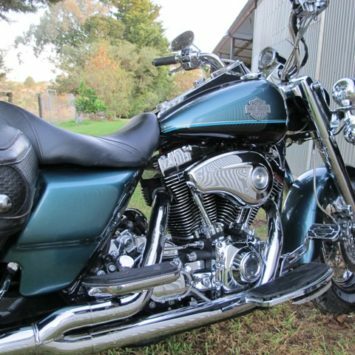 Petrol cost 12 cents a litre, registration for a motorcycle was $170.00 and I could maintain a bike myself. So a motorbike it was. It was love at first sight. Since then I have owned numerous motorcycles and ride predominately in busy conjested traffic. I have been a postie for 13 years and only worked part time, with another provider, on weekends, as a motorcycle instructor. I found that helping other like minded people learn to ride motorcycles safely and ultimately achieve their Licence was extremely rewarding. I have met people throughout my time as an instructor that have changed the way i live my life. 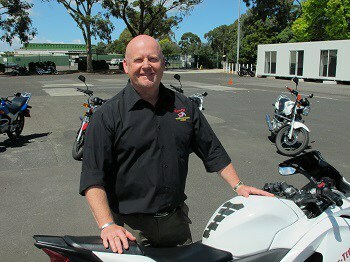 I have now worked with Ridetek for 9 years and seen many changes in motorcycle safety and training. I hope to be able to help others with their riding for many years to come or until I can’t throw my leg over a motorcycle any more. I currently have A Yamaha MT09 called Maggie and a Suzuki DR650 called Doris. The riding I most enjoy is adventure riding. I have had some amazing experiences in the outback and my dream is to ride the Simpson Desert before I get to old. My favourite bike will be my next one…. People always ask me why we get such good feed back and what sets Ridetek apart from other providers. Its because we care, we really care about our riders. We not only have a duty of care to all the riders, but also their families and friends. We simply don’t want to put anybody on the road who would be a risk to themselves or anyone else. “As the youngest of 6 children and growing up on a farm, I was thrown into riding motorbikes from a young age. My very first road bike was a Yamaha RD350, and man, I thought that thing could fly, (back in the late 70’s). I’ve had the privilege of riding Triumphs, Hondas, Kawasakis, Suzukis and trikes of many different models. I live to ride, but I also ride to live, and I’m honoured that my dream job allows me to ride almost every day on my Suzuki Boulevard, which is a delight to ride. Many people don’t even like their job, let alone love their job, but riding is my passion and therefore I absolutely love what I do. Watching people fulfil their dream of becoming a rider and being privileged to be part of that journey is simply amazing and very satisfying. My first bike was a Suzuki 100cc single cylinder way back in 1971 (a classic now!!) 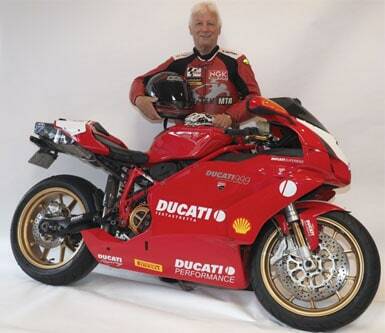 Riding for over 45 years I have had and progressed through many styles and sizes of bikes. As a petite women I know some of the hurdles we small folk have to hurdle in order to ride, feel safe and confident on a motorcycle that may feel totally foreign to us. My current rides are an MV Augusta 920 Brutale and a KTM 390 Duke. I have always had a passion for motorcycling; which I get to share with like minded people wanting to start off and not knowing where to begin. 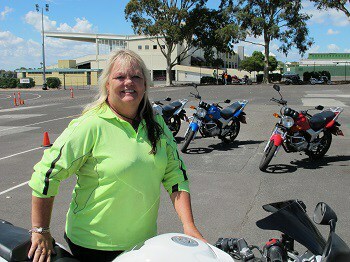 I have been working my dream job as a motorcycle instructor for almost 10 years now and I revel in it. I get to see a newbie start with their Learners Permit, see their progression of skills via Check Rides and then through to passing their License and beyond; what a joy. One of the many benefits of this profession is that the more people we get on two wheels, the safer off we all will be, as you will be more motorcycle aware when driving your tin top (car)!! Background & How Long Have You Been Riding? I started my affair with motorcycles at the age of 12. My first bike was a Honda Mini Trail. After that I rode various models of dirt bikes, mainly Hondas and a Bultaco Alpina till I could get my licence. As soon as I had my licence my preference was travelling long distance. Till this day nothing beats just heading off, particularly when I don’t know where I am going to end up at the end of the day. I have explored a lot of Australia on 2 wheels. All my road bikes have been twin cylinder machines. My first road bike was an XS650 followed by a Ducati Darmah. Then another Yamaha, then a long termer, a Guzzi Lemans, followed by a Harley XR1200. 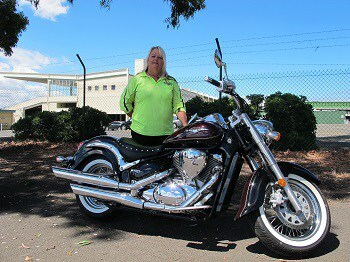 My present ride is a Harley Davidson Road King. I manage the Ride-Tek website and assist in marketing of RideTek services. I will also be assisting in the advanced training. I am looking forward to sharing my experience and helping others in avoiding some of the mistakes I have made over my motorcycling life. A. Preferably one for every day of the week. A track bike, a Dual sport, a café racer, Another Moto Guzzi.& just a few others. A. My favourite roads are in anywhere in the Victorian High Country. 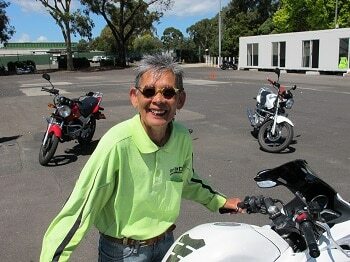 I also enjoy attending the Classic Motorcycle Races at Philip Island.